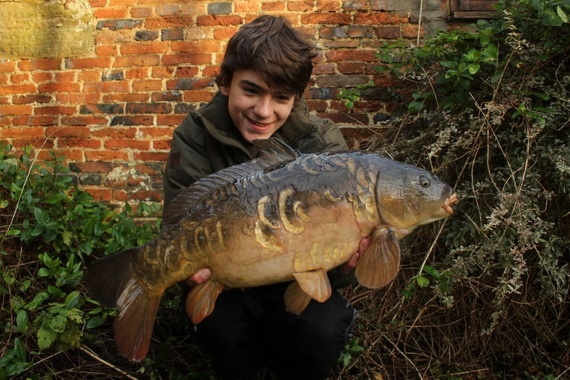 JUNIOR BLOG (Fri): Winter carp success! The weather can be very unpleasant in winter and that a what puts some people off but, theres no such thing as bad weather, only the wrong clothing! 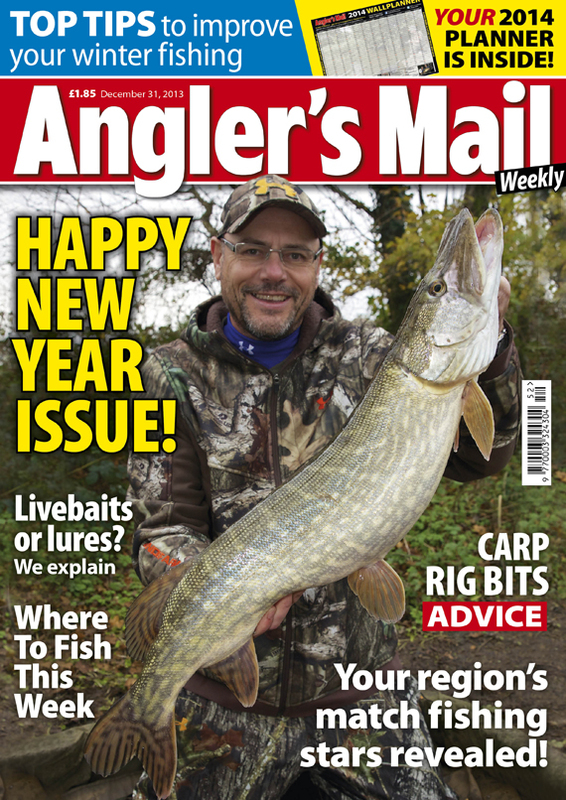 Winter can often be the best time to go fishing; the banks are empty, amazing scenery and the colures of the fish can look wonderful. But our overall aim for this winter is to make a winter carp fishing adventure video where we target a few different venues to try and catch some monster carp. We have done a few sessions recently when it has been freezing cold but the feeling when a big fish slides over the net is incredible.Two weeks ago Carl and I went to a little pond really close to our house so we woke up early and walked over with our Dwarf rods, some bread and a few gaper hooks for stalking. We spent about an hour looking around the lake and finding where the fish were and once we had Carl cast some slow sinking bread to a shoal of carp cruising slowly to the left and the first one in the shoal slurped in the bread, Carl set the hook and this fish went absolutely crazy in the shallow water and kicked up loads of silt. But after a long fight this low double mirror went into the net. A fine result in cold conditions and a fish that warmed us both up for the rest of the day! Carl with a lovely double-figure winter mirror. 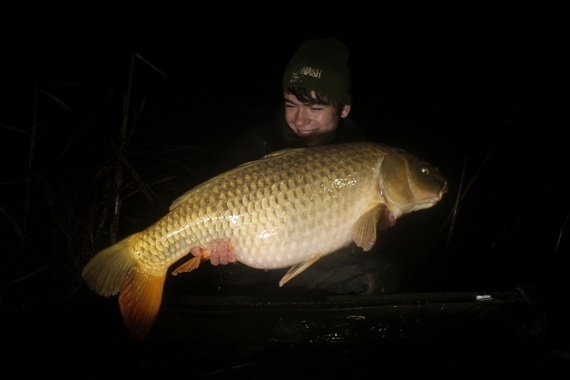 And last week we popped over to the Tanyard specimen lakes for a night to try and catch a big carp to end 2013 nicely. We brought four pints of maggots with us and found a big group of fry jumping and a few deep swirls coming from underneath. After a few pouch fuels of loose fed maggots a few more swirls came up. 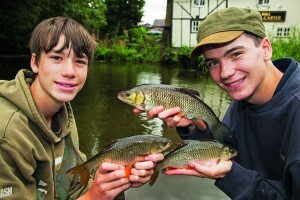 We were pretty sure the carp were feeding on the maggots. Carl cast out his maggot hook baits that evening tight to the island and at three in the morning his rod ripped off. It fought for over twelve minutes but eventually it wallowed slowly over the net it turned out to be a 20 lb ghosty. That certainly was an awesome session to finish 2013! Hope you had a good session to end 2013!